I am lazy most of the time. So I usually fry ravai and store it in an air tight container. 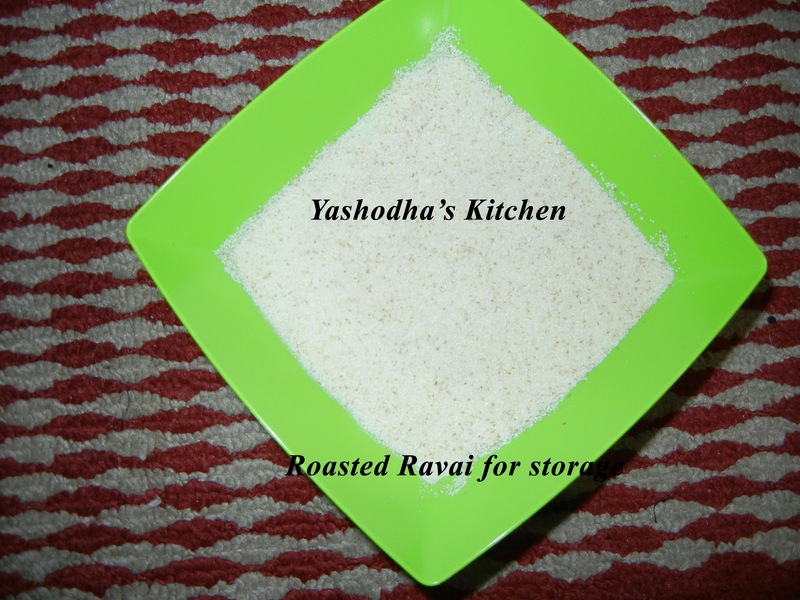 If I want to prepare upma or kesari or kichadi or payasam, I won't spend time in roasting, just use the stored ravai right away. Roasted stored ravai avoid spoil ravai from bugs/ insects. Ravai / Sooji - 2 pounds or how much do you want to store. Heat pan with no oil. Fry ravai for a while or until it is hot but it should not be in brown color. Remove it from the pan and allow it to cool. Store roasted ravai in a air tight container.